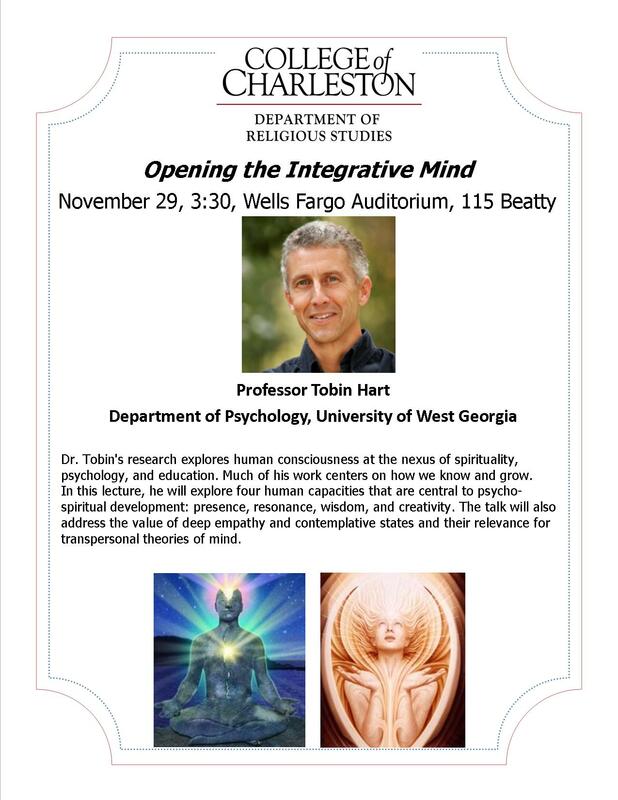 We hope you can join us in welcoming our guest speaker Dr. Tobin Hart Nov. 29. All are welcome and there is no charge. 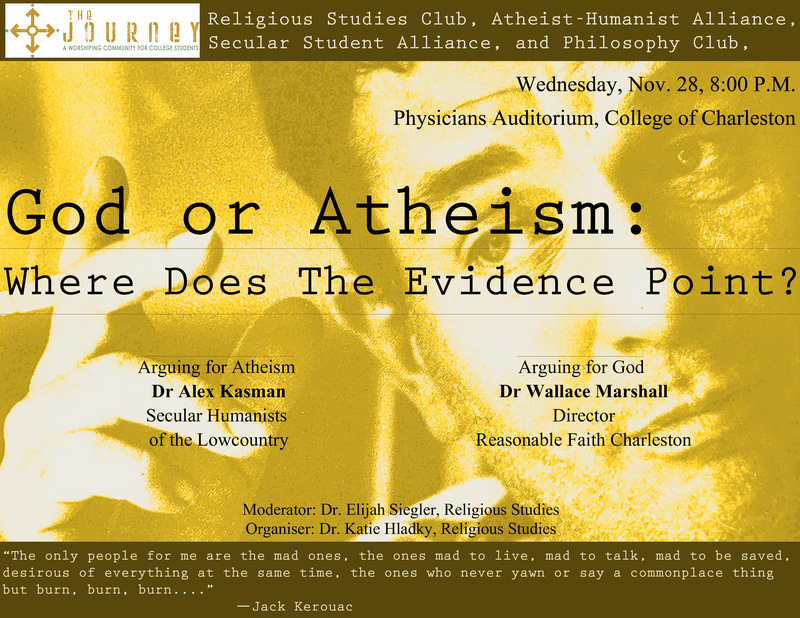 November 28 – Debate: God or Atheism: Where Does The Evidence Point? Wallace Marshall (Reasonable Faith Charleston) and Alex Kasman (Secular Humanists of the Lowcountry) will address the question `God or Atheism: where does the evidence point?’ in a public debate. Following the debate, each participant will also take questions from the audience. The event is free and open to the general public.